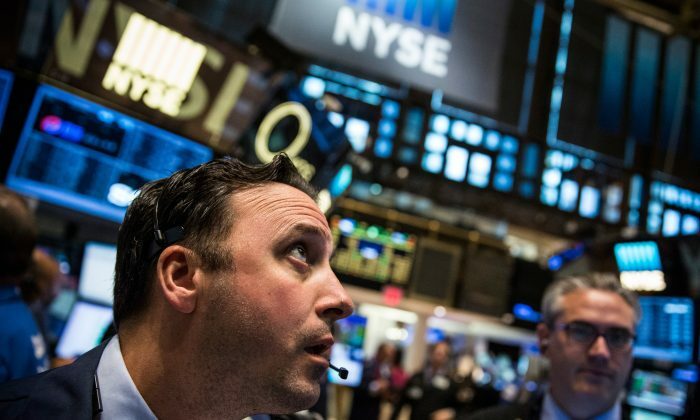 Analysts confident bull market intact, no recession fears in U.S.
A stock market correction was long overdue, but understanding the bigger picture and seeing through the fear in financial markets can present some excellent opportunities for investors. This is the view of RBC Wealth Management, one of the world’s top five largest wealth managers with more than C$503 billion of assets under management. The view is based on confidence that a secular bull market—a long-term rising trend for stocks—is still intact. It’s human nature to overreact. Robinson sits on RBC Wealth Management’s Global Portfolio Advisory Committee (GPAC), which provides strategic analysis of financial markets and guidance on asset allocation and portfolio construction. Given this lay of the land, a correction is a healthy development. “Corrections are part and parcel of the landscape. They typically happen every 12 to 18 months. They clear out the overvalued excess in the marketplace and then you move on,” said David Rosenberg, chief economist and strategist with Gluskin Sheff and Associates, in an interview with BNN on Aug. 25. It’s been four years since the last stock market correction. “That sort of gap has only happened three times in the recorded history of the stock market,” Rosenberg said. The standard definition of a correction is a decline of at least 10 percent from the top of the market to the bottom. Looking at a broad measure of U.S. stocks, the S&P 500 fell from its peak of 2,130.82 on May 21 to 1,867.61 on Aug. 25—a 12 percent drop. Canada’s TSX Composite Index has fallen from its year-to-date peak of 15,450.90 on April 15 to 13,150.90 on Aug. 25—a 15 percent drop. The catalyst for the correction was fallout from China devaluing its currency. “It was really interpreted as an admission by the Chinese government that their economic slowdown was a lot more extreme than the headline data would indicate, and so that really has caused a widespread risk-off sentiment to pervade the market,” says Robinson. The “risk-off” sentiment has led to fear and widespread selling of stocks. Broad declines in commodities have also accompanied stocks lower. “Fear is a much more overwhelming emotion than greed is,” said Rosenberg. The declines over the past few trading sessions have quickly wiped out gains that took several months to build up. Looking back at the August 2011 correction, there was palpable fear in financial markets that stemmed from rating agency S&P downgrading U.S. debt, along with the U.S. government shutdown and the European sovereign debt crisis. But the U.S. economy didn’t go into a recession then. Robinson generally advises clients with long-term investment horizons to stay the course, although there is the opportunity for tax loss selling before year-end. Broadly speaking, the developed markets, such as the U.S. and Europe, look favourable for investors as opposed to the emerging markets and commodity plays. The commodity bull market of the last decade is over, as the world’s main growth engine—China—was never going to sustain its double-digit growth. Bloomberg’s commodity index of 22 raw materials fell to its lowest level since 1999. Given the view on commodities, the Canadian market requires caution. The Canadian economy has been shrinking for five straight months, but Robinson feels most of the damage has been done already. Another factor suggesting staying the course is not being able to get good prices for trades in volatile markets. When the market moves very quickly over wide trading ranges, liquidity can be poor. For example, investors often use exchange-traded funds (ETFs) to change their exposure to a certain sector of the market, but the prices for the ETFs can be way out of line with the net asset values of its constituents. Underlying the recommendation is the confidence in a secular bull market for U.S. equities. The recovery from the correction may be slow, and it may get worse, but a rebound is expected due to the strong fundamentals of the U.S. economy. Corrections are part and parcel of the landscape. For the more tactically minded investors, Robinson advocates a more defensive tilt by looking at utilities for their dividend yields or even consumer staples, and moving away from cyclical sectors like consumer discretionary or financials. China, as the catalyst for the correction, remains the wildcard going forward. The authorities have the tools to smooth the transition to a consumer-driven economy, but financial markets need to be convinced that more aggressive steps other than small rate cuts will be taken. “As we wait for China to act more decisively, the global risk-off trade could take the recent correction in equities further, and play into a flight-to-safety bid for less cyclical assets,” wrote CIBC chief economist Avery Shenfeld in an Aug. 24 research note. After a further market downtown last week, Chinese authorities continue to hunt for invisible enemies. It's great on the way up, but what happens on the way down?